East Midlands Ambulance Service has introduced a fleet of 29 new ambulances as part of a five-year investment programme, with two for Lincolnshire. The first phase of the programme, worth £3.9 million, is aimed at improving the age profile and increase the number of vehicles out on the road. Each vehicle, fully-kitted, costs around £135,000. The service also has plans to introduce more fast response vehicles over the next five years. Of the new vehicles introduced across the East Midlands, two will come to Lincolnshire, one in Lincoln and one in Boston. The new vehicles will have the latest technology including a new mobile data system called Terrafix which has an integrated satellite navigation and will assist crews with getting to emergencies as quickly as possible. 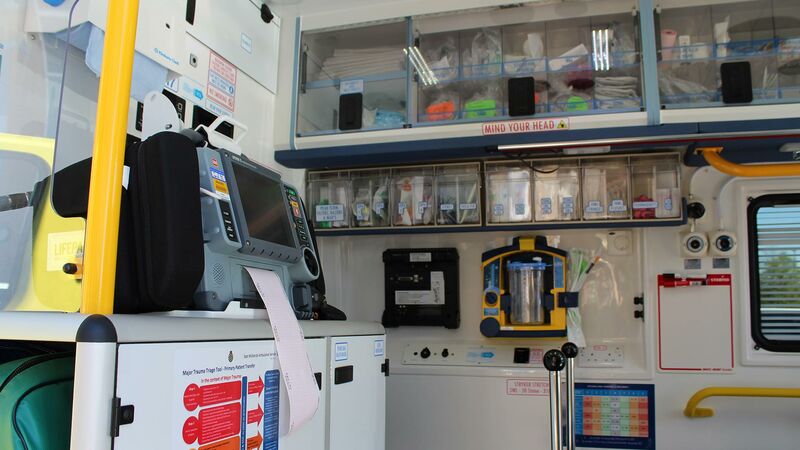 The ambulances are Fiat Ducato’s that have been specially reinforced with an upgraded braking system and improved torque to prolong gear box and clutch life. Also installed are enhanced emergency lighting for both staff and patient safety. Steve Farnsworth, Head of Fleet said: “A lot of attention has been given to the durability of the vehicles. At the end of their shift, our crews go home and rest before their next shift; that’s not the same for our vehicles, with the majority being out on the road 24/7.